While I was a teacher, it always felt like half my class wanted to build and play and the other half wanted to read a book and talk about their favorite character. What’s awesome about STEAM is it’s not just for math or science time. STEAM activities and principles can be integrated into all areas of learning, even literacy! 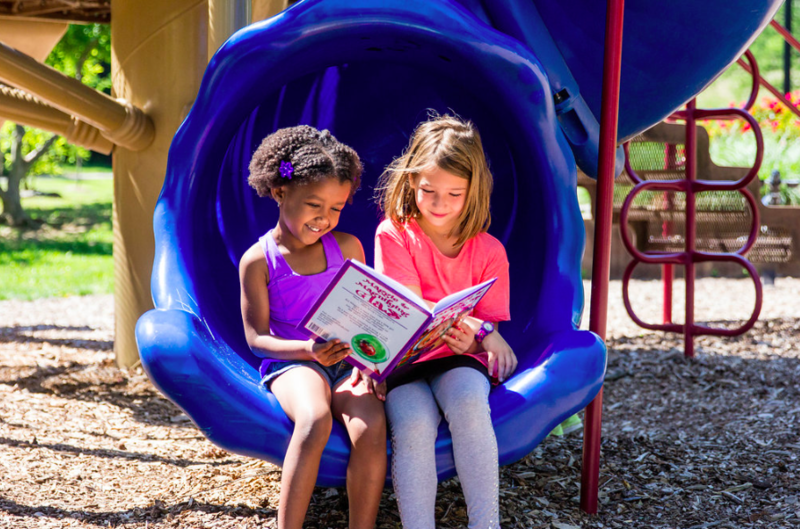 It doesn’t matter what book you are reading, whether it’s If You Give A Mouse A Cookie with the little ones or the BFG with older students, you can infuse reading with STEAM concepts. A great way to incorporate STEAM into literacy is to create activities around events in the book. If you’re reading If You Give A Mouse A Cookie, have the kids create their own cookies of different sizes using construction paper or play-doh. Then, have them use a ruler or measuring tape to figure out the size (diameter) of the cookies. You can also have them compare sizes with their own cookies and with each others by creating a chart on the wall. Just in this one little activity, you’ve already engaged them in art and math concepts. With older kids, STEAM activity challenges are a fun learning experience. For example, if you’re reading the BFG, have your students race to create a giant with specifications (he/she must have shoes, a vest, etc) and then see which team has the largest giant. While the classic books are always a wonderful option for reading, recently, more authors have been writing STEAM-themed books. These books are filled with inspiration for STEAM activities. We wrote a children’s book, called Maggie the Magnifying Glass, to introduce kids to scientific tools, like a magnifying glass. After reading this book with your kids, you could send them on their own journey to find critters in the school’s garden using their own magnifying glasses. Or, have them collect small items and then use microscopes to look at the different shapes and patterns up close. Then, have your students make observations about their findings and record them. There is always an opportunity to weave STEAM into learning. And, STEAM-ifying lessons gives your students the chance to learn through play and exploration. We love hearing from our fellow educators! Email us at info@rozzylearningcompany.com if you have questions, ideas, or just want to chat.